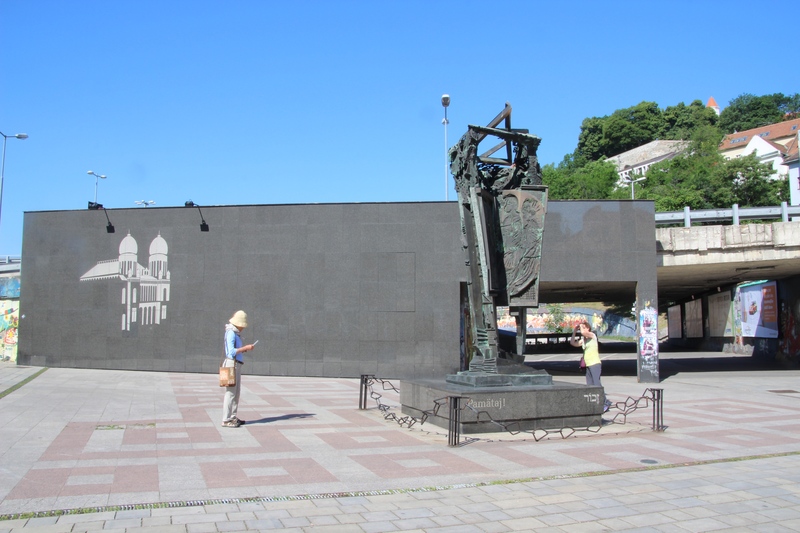 In June when we were in Bratislava, Slovakia, we viewed the Holocaust Memorial which was constructed at the site near where the Great Synagogue once stood. It was removed not by the Nazi’s, but by the Communists to make room for a highway exit ramp. The Holocaust memorial along with a wall with the outline of the destroyed Great Synagogue was constructed in 1996. 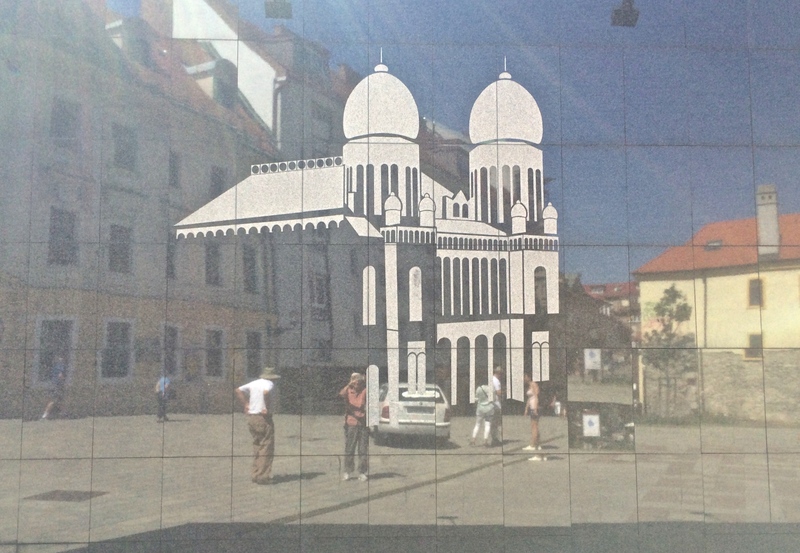 I did not notice until we got home, that the photo of the Synagogue drawing on the reflective wall was at an angle that made it appear as a ghost on the square, which of course, it was. I wonder if that was intended? 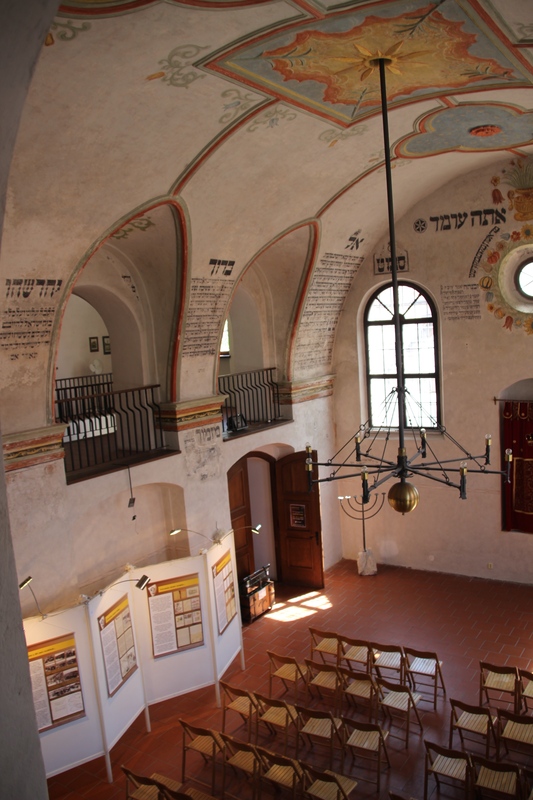 The Rear Synagogue in the Czech town of Trebic was built in 1669. In 1890 1,500 Jews lived in the little town. By the 1930’s only 300 of them remained. The remaining people were sent to concentration camps by the Nazis. 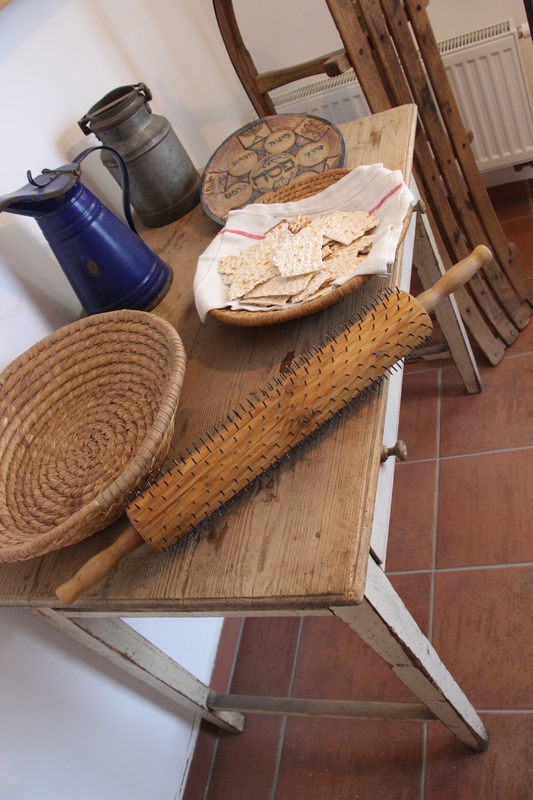 Today guides do a nice job of explaining daily Jewish life at the turn of the century. 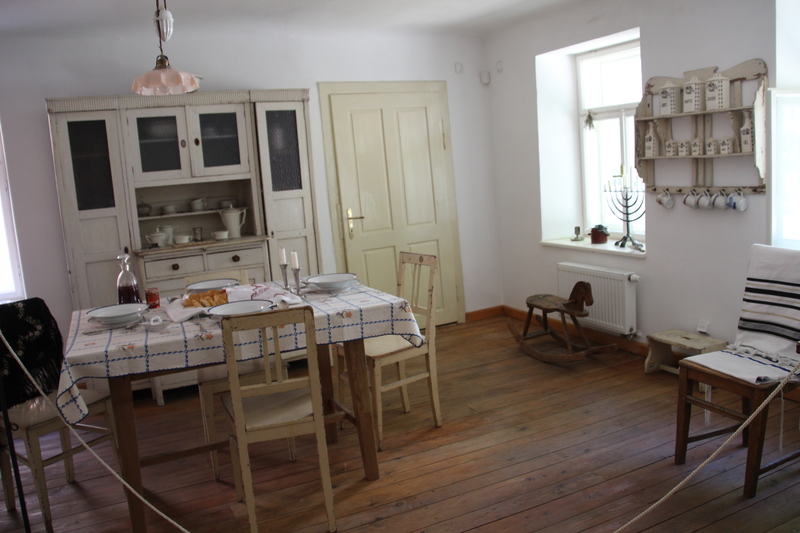 The synagogue has a display of religious objects and well as information about the horrors of the Shoah. Meriam-Webster Dictionary: Hole—an area where something is missing. A Tribute to the Town of Trebic , Czech Republic . Tidy villages with parks and shops. People enjoying beverages at a café. But look closely, there are holes. What can the residents do? Some try to forget about the holes. –Yet the holes still exist. Some try to fill-in the holes. Recover a small part of it. Take a once sacred building. Some teach and learn from the holes. The holes will always exist. The sadness will never leave. bring honor to the lost community.